The Zeppelin and the Unicorn Antiques is a unique shop located in the heart of North Wilmington. We pride ourselves in our varied selection of one of a kind items that will address almost anyone’s taste. We encourage our dealers to collaborate, so items are frequently displayed in theme rooms. Our customers are greeted with friendly and helpful dealers who will search high and low to find that special treasure being sought. If we can’t find it in the shop, just write down your name and item in our “Wish book” and we will try to locate it. We are child and pet friendly. Our goal is to be known as the friendly place where you can have a relaxed and inspired shopping experience. 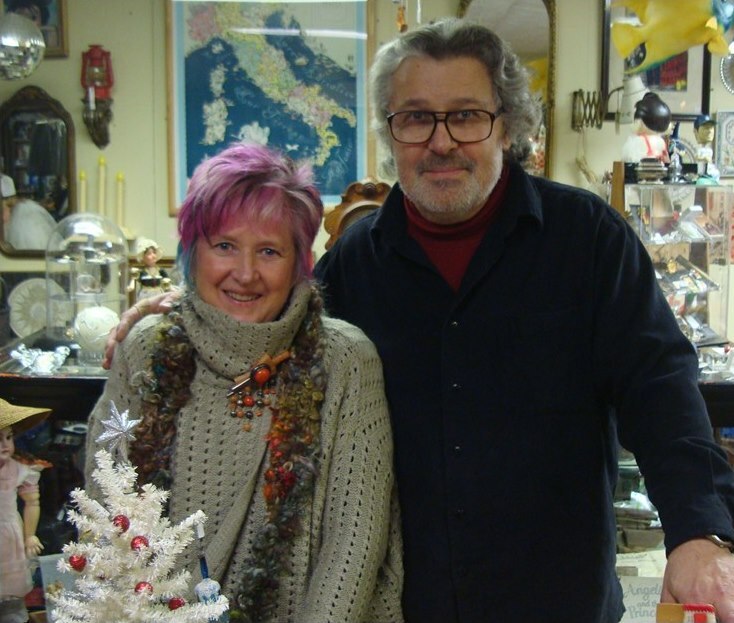 The owners of this marvelous North Wilmington antique shop are Jacqui and Larry Donahue. 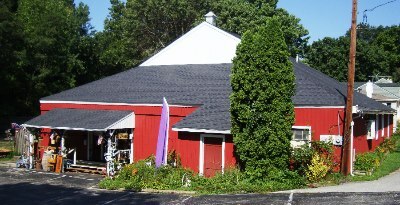 They are local New Castle County residents that have loved collecting and antiques their entire life. Larry is an artist and avid collector of vintage toys, records and ceramics. He is a professor at Delaware College of Art and Design (DCAD). Jacqui is the shop vintage doll lady and has a flair for fun with her pink tinted hair and funky handmade jewelry. So come on in and let us delight you.